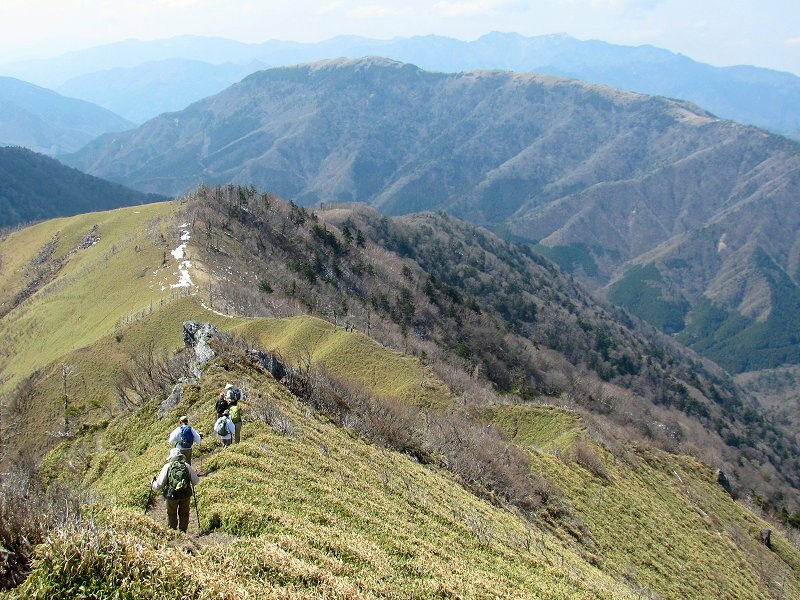 Today we left the official 88 Temple Pilgrimage route for a hike in the mountains of the Tsurugi-san Quasi National Park in central Shikoku. 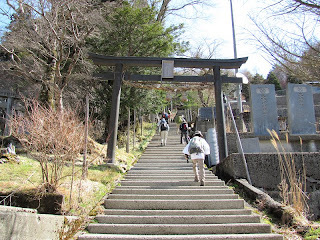 Our hike started at this Shinto shrine at Minokoshi Pass. 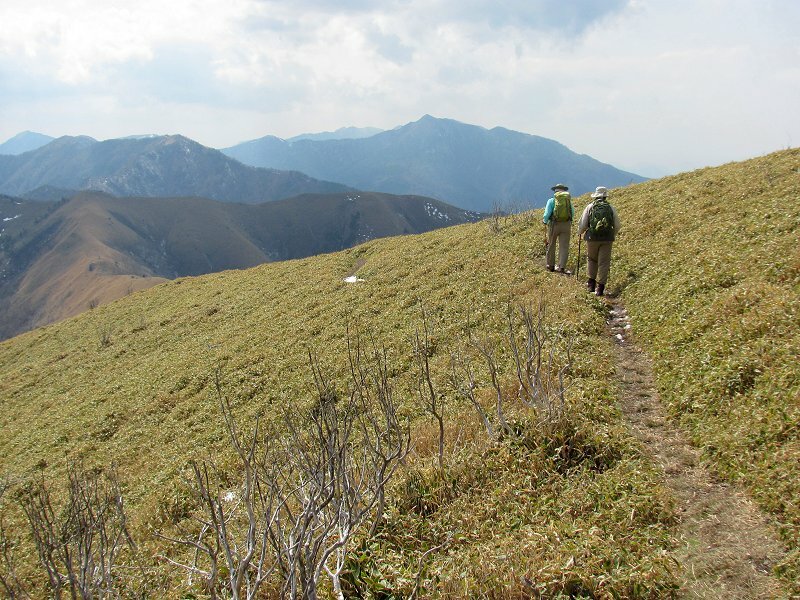 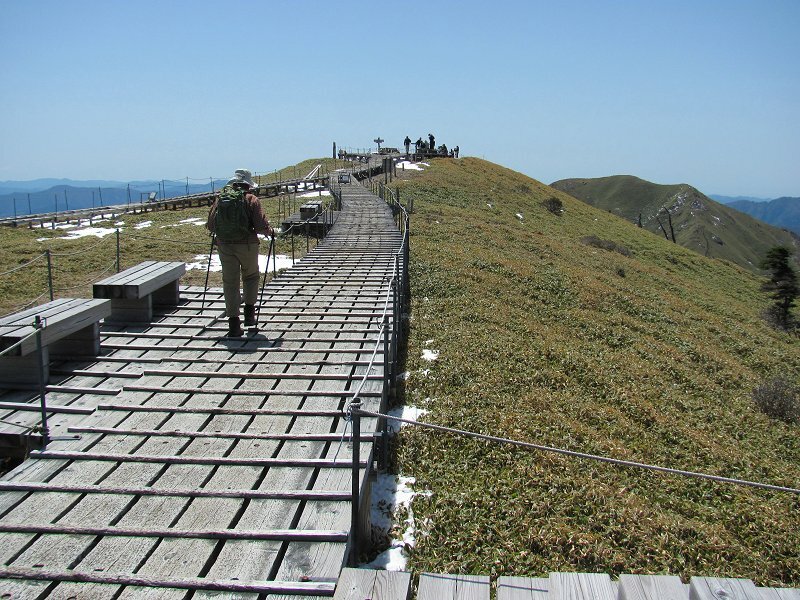 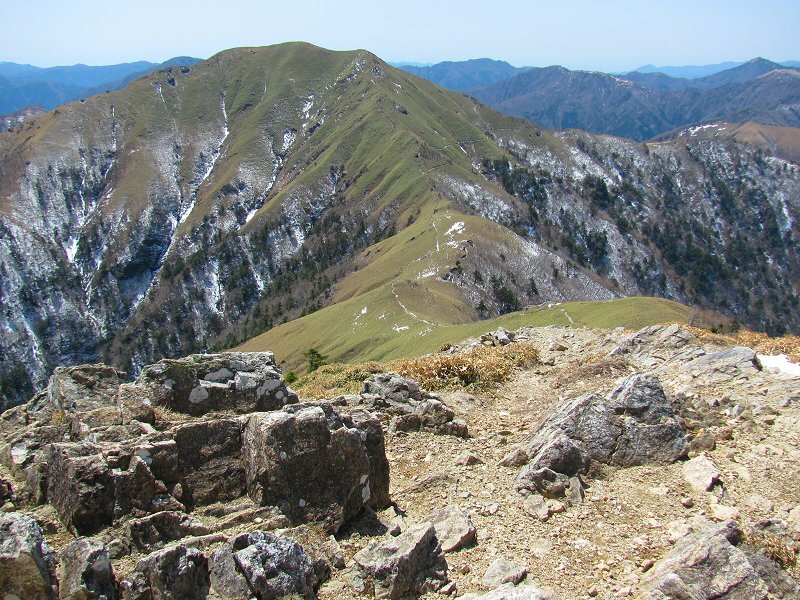 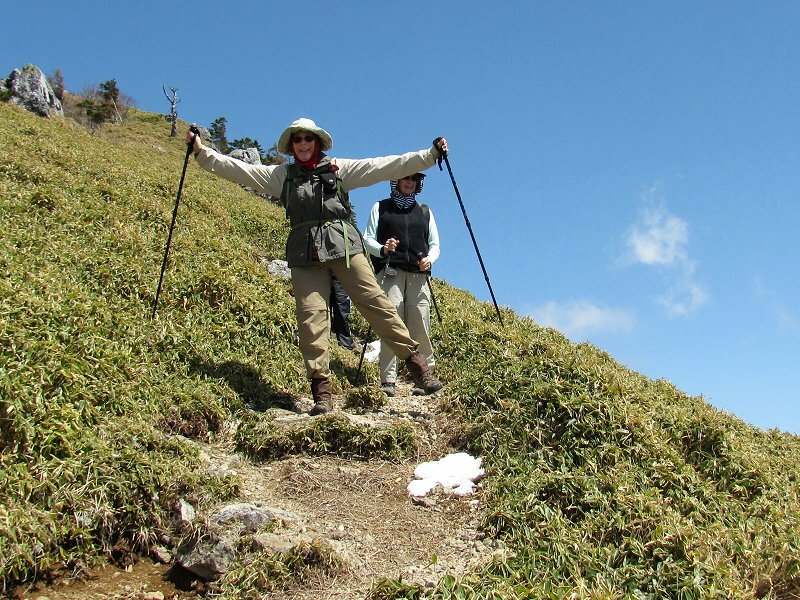 The trail ascended steadily toward the summit of Tsurugi-san. 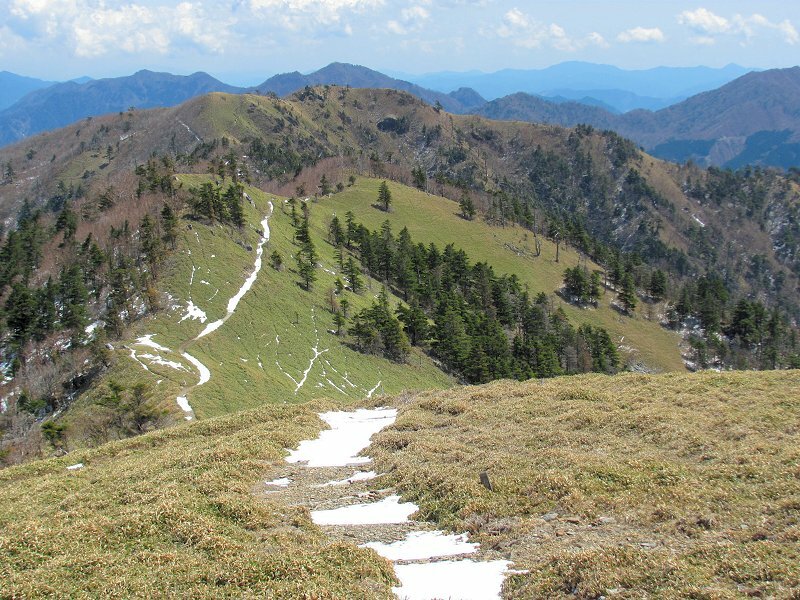 The snow-flecked peak of Miune is in the left background. Approaching the summit of Tsurugi-san. 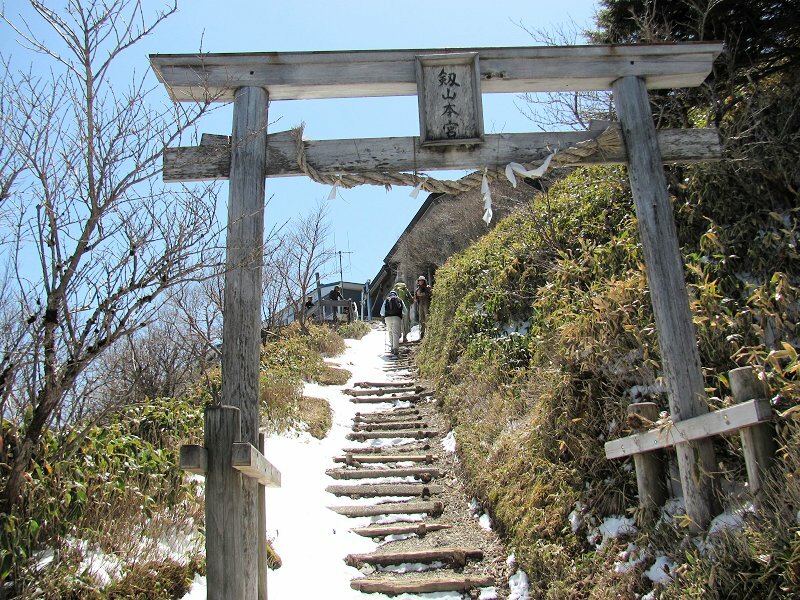 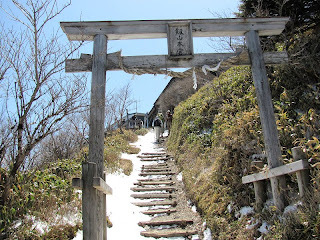 This torii marks the final set of steps to the summit area. 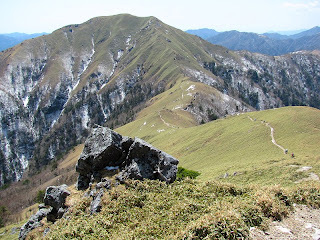 The view from the summit of Tsurugi-san looking toward the east. 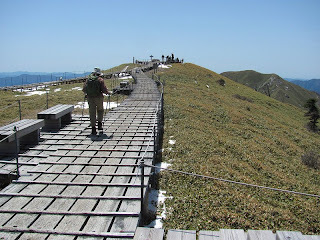 A series of wooden "terraces" wind across the broad summit area of Tsurugi-san. A sunny, cool and beautiful day...perfect! 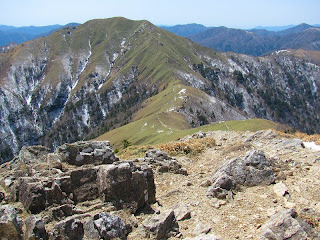 From the summit of Tsurugi-san looking toward the west. The peak on the left is called Jirogyu. 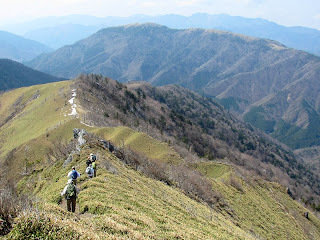 Beginning the descent from Tsurugi-san along the ridge-top trail that leads to the neighboring peak of Jirogyu (at the left in this photo). The trail from Tsurugi-san to Jirogyu. 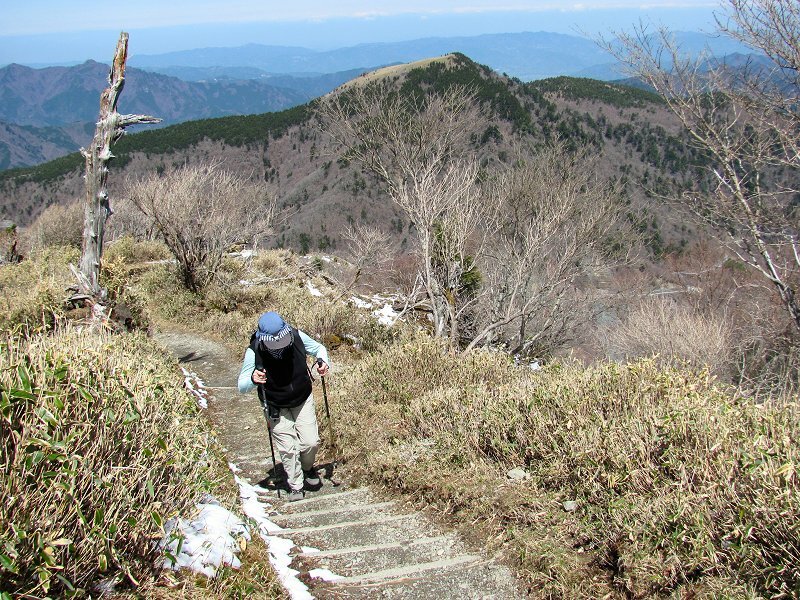 The joy of the mountains on the trail between Tsurugi-san and Jirogyu. 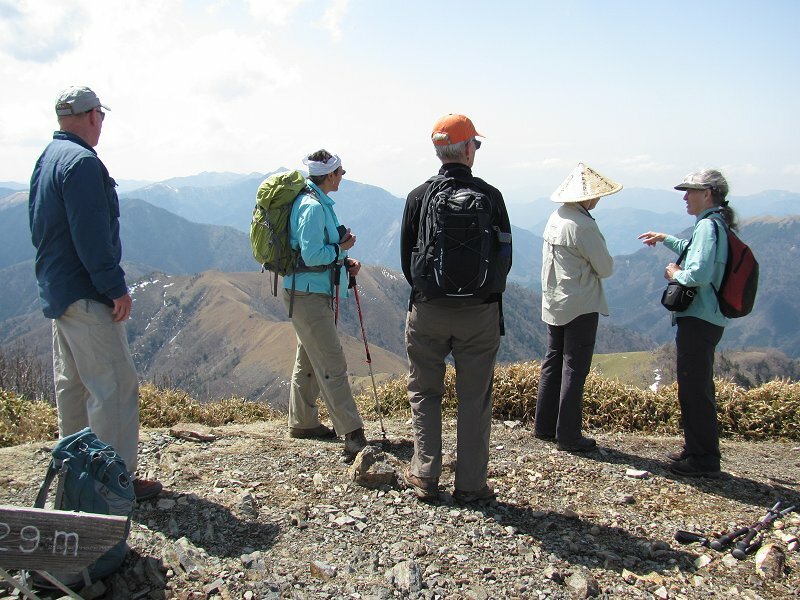 Contemplating the view from Jirogyu. 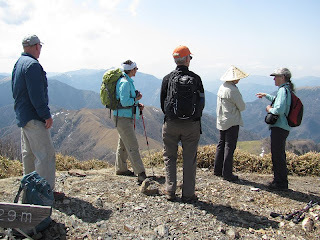 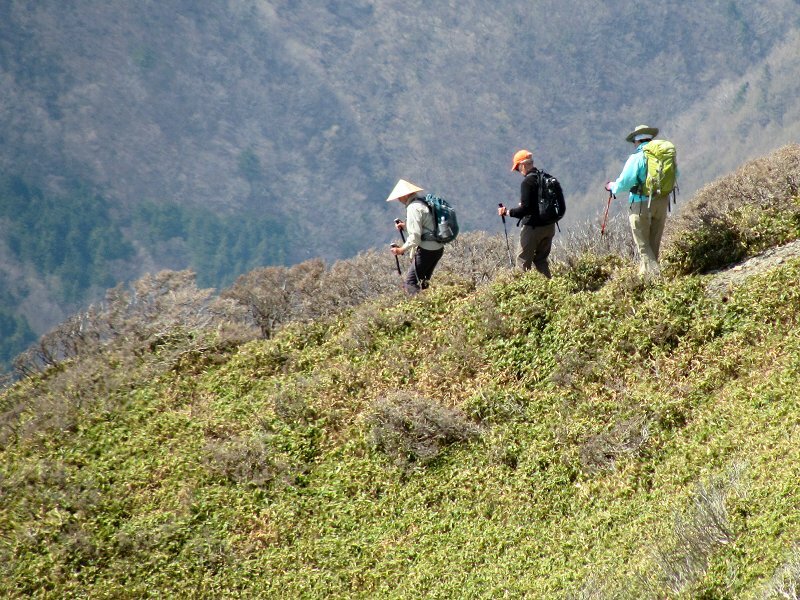 We met no other hikers today once we left the summit of Tsurugi-san! 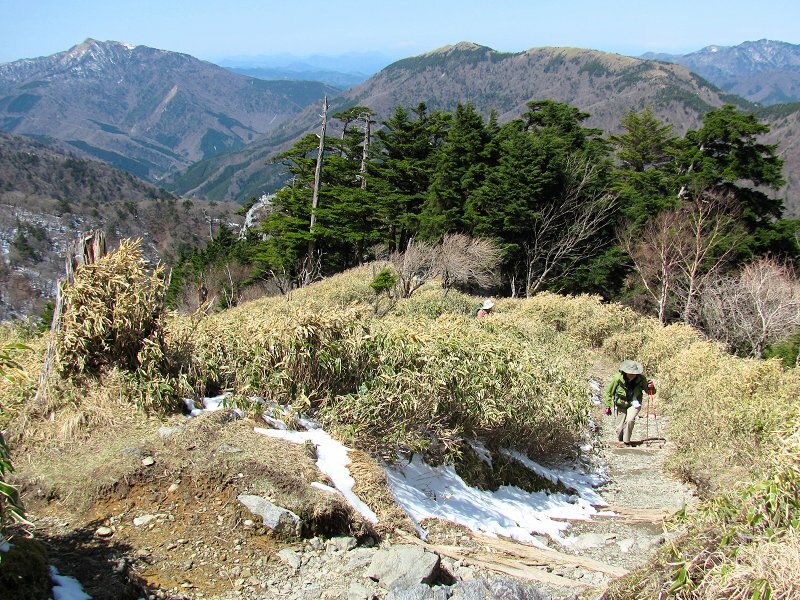 Solitude in the mountains of Shikoku! Following the ridge-top trail as it descends from the summit of Jirogyu. 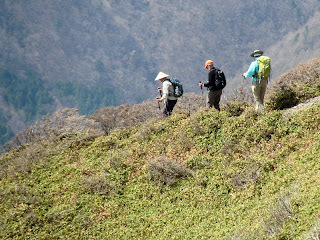 Our group descending from Jirogyu. 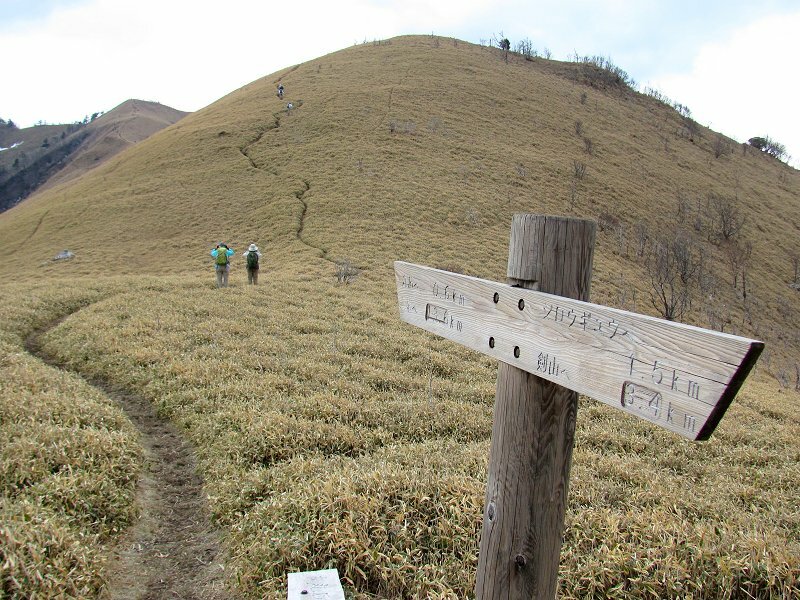 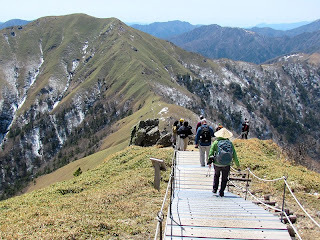 The trail between Jirogyu and the peak of Maruishi. The trail leading through a field of dwarf bamboo toward Maruishi (the small peak to the left in this photo). 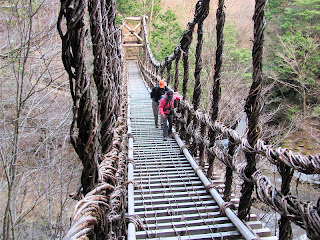 From Maruishi peak, a long descent through the woods brought us eventually to the double vine bridges Okuiya Nijyu Kazurabashi. One of the bridges is considereg "male" and the other "female." 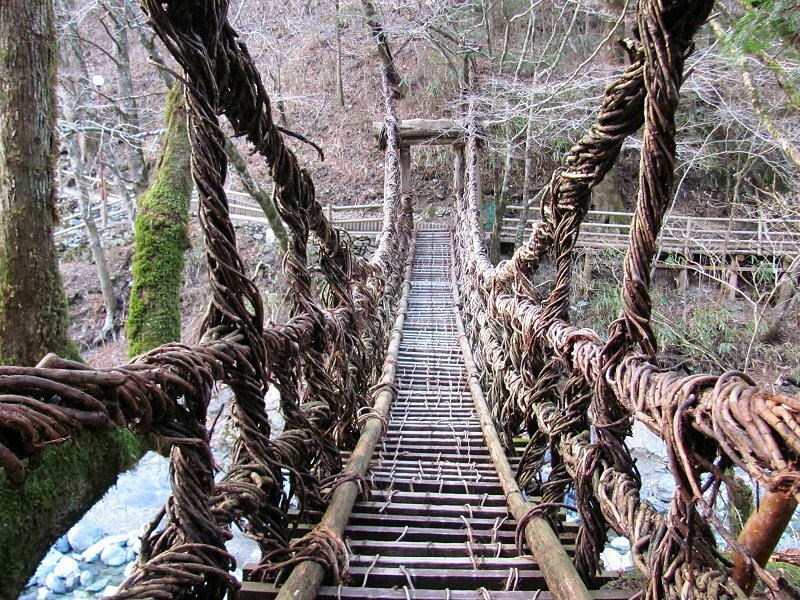 This is the "female" bridge. 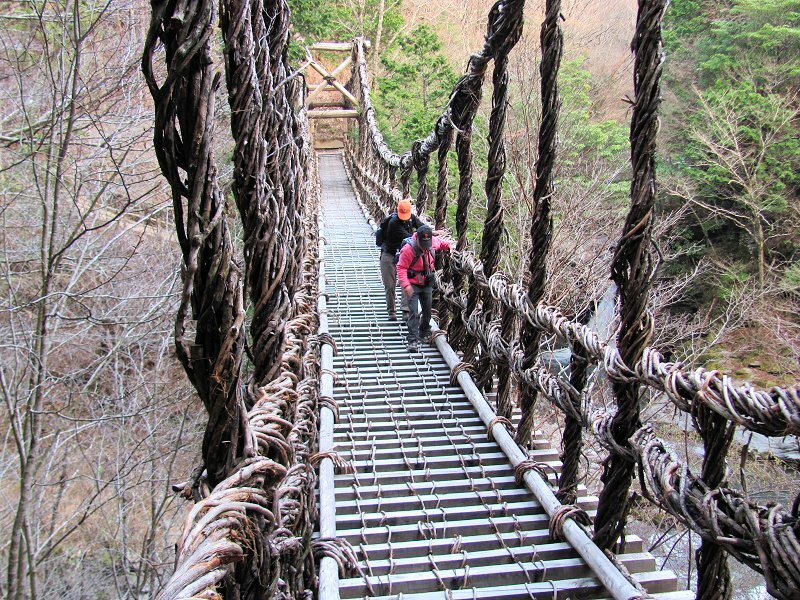 Vicki and Gail crossing the "male" bridge at Okuiya Nijyu Kazurabashi.